The preparations for the rebuilding of the Temple in Jerusalem are heating up! The Temple Institute has announced the creation of two golden censors known as the Bezichin which will be used in the service of the Temple by the priests once the Temple has been rebuilt. This is very exciting for those of us who are looking forward to the return of Yahshua the Messiah. The fact that the preparations for the rebuilding of the Temple are taking place is yet another sign that we are living in the last days. 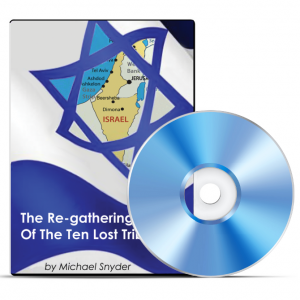 The Scriptures tell us that the Jewish Temple will be rebuilt and that the anti-Messiah will desecrate it in the last days. The anti-Messiah will do something so evil in this rebuilt Temple that the Scriptures refer to it as “the abomination of desolation” (Matthew 24:15). For hundreds of years, scholars mocked and said that the Temple would never be rebuilt in Jerusalem. But the truth is that the Word of God is true and nothing man can do can stop it from being fulfilled. The following is a little bit of background on the bezichin from the Temple Institute website….. 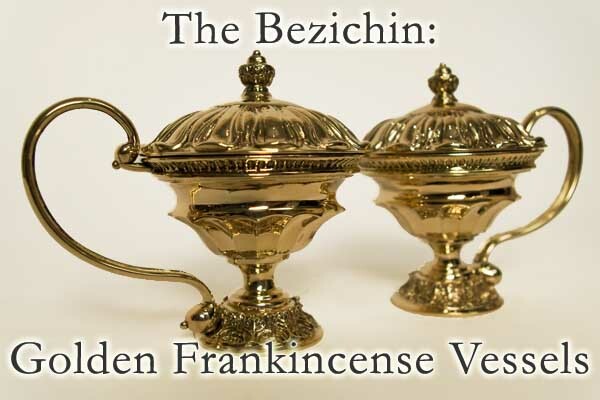 The two golden bezichin – frankincense vessels, referred to in the above passage from Exodus, as “spoons,” are an essential element of the golden show bread table and the service of the showbread. These two bezichin were used to contain the two handfuls of frankincense that the priests were instructed to place upon the showbread table beneath the twelves loaves of lechem hapanim – showbread. The twelve loaves were replaced every Shabbat and the loaves that were removed were eaten by the outgoing shift of priests in the Chamber of the Hearth, located along the Temple Courtyard. New loaves were set in their place simultaneously, and with them the two bezichin of fresh frankincense. Our sages tell us that the showbread never grew stale, that it remained hot and fresh, and that even a morsel of the bread was filling and satisfying the priests that ate it. The Temple Institute has also produced a short little YouTube video on these vessels that we have embedded below for you….. The reality is that we are living in the last days and the signs are all around us. Praise God that we get the privilege of living in such extraordinary times! Messiah is Coming…Are YOU Prepared? I discovered your blog through Google Alerts when I was researching more on “Messiah”. Your topic is exactly what my book is about. I was wondering if you’d do me the honors and check out my website and blog. 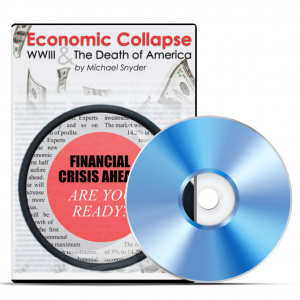 I thought you might be interested in purchasing my book called, “Prepare for the Coming of Messiah”. You can read more about it on the reviews, endorsements, and through my video. I teach and minister at Congregation Beth Yahshua (House of Jesus) in Greenville, NC. I’ve been given a mandate by our Creator to be a watchman on the wall for our final generation—an honored position to spread God’s word while the foundations of our society are quickly shifting. I passionately warns others of the catastrophic events that are coming to planet earth, but yet we have so many blessings and I’m left with an uplifting hope. I’m so thankful for the restoration—all those who believe in Jesus Christ as their savor. It was a pleasure to meet you down at Raleigh. We hope that your new book sells a million copies! Jews as we Christians believe will be saved at the second coming by finally recognizing the Messiah. Islam believes Jesus to be only a prophet. Therefore Christians cannot pray with Muslims since they deny Jesus. Reading this makes me think that the abomination of desolation Jesus talked about is the combining of the Temple with the mosque. this is really exciting seeing the bible prophecies come true in your very sight. Truly we are in the last days, believers should hold their testimony firm. Any doubting Thomas should read and believe cause the time is short. The rate the love of many is dwindling and the value men place on material things these days are really signs of the last days. The high rate of murder and other social crimes bear witness that we are living in the end time.